I found the reason why using I,J,K variables with loop on the old FORTRAN reference. 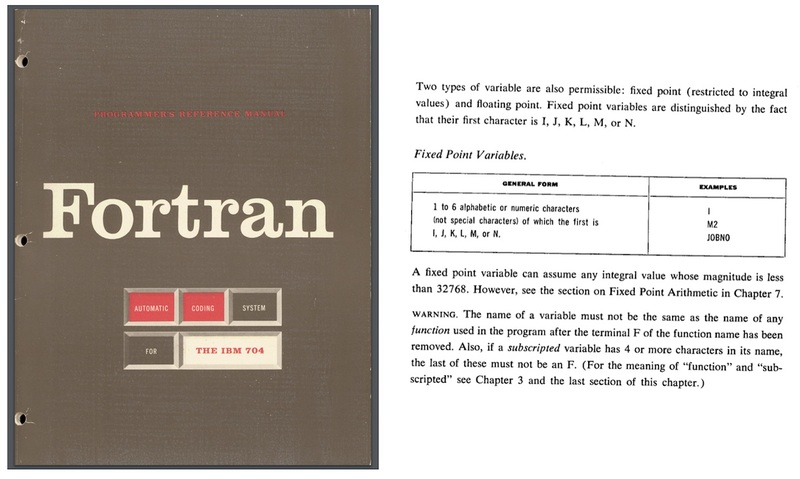 FORTRAN has 2 types variables floating and fixed number. The type is fixed when the variable starts a letter I to N! 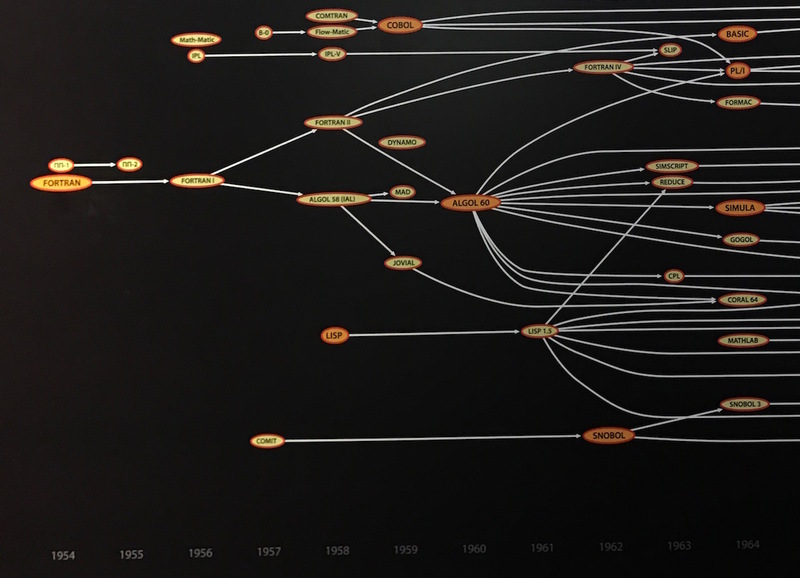 FORTRAN is the origin computer language according from the Computer History Museum. BASIC came from FORTRAN also. 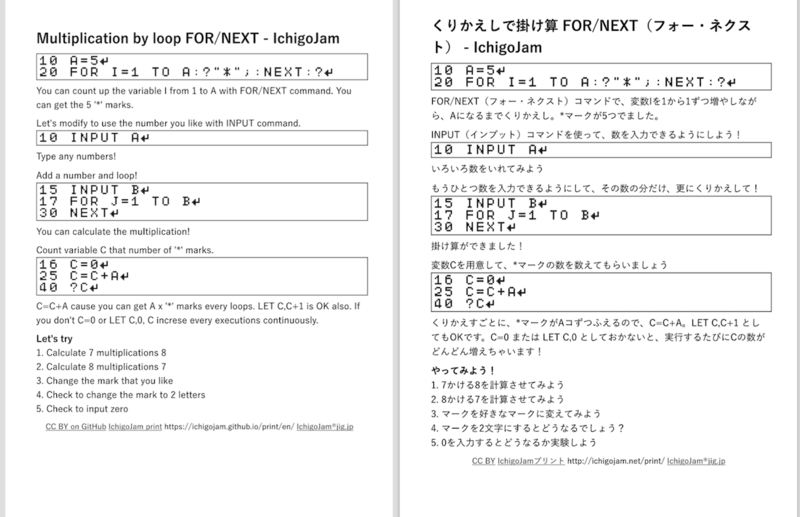 Let's play with the LOOP on IchigoJam BASIC. I added a print about the the loop using FOR-NEXT command. Please join us to make prints to learn BASIC!